The ADEPPT pilot at Cardiff and Vale College was a brilliant start to a challenging mind set change throughout the college. It is a recently merged college that is still struggling to find its own identity and develop a culture. As youth entrepreneurship is high on the agenda of Welsh government this pilot seemed ideal to start spreading the seed of entrepreneurial learning. Natalie Elward: "We opened the pilot up to all staff members with the thought that as long as they had an interest they would help champion entrepreneurship throughout the college. 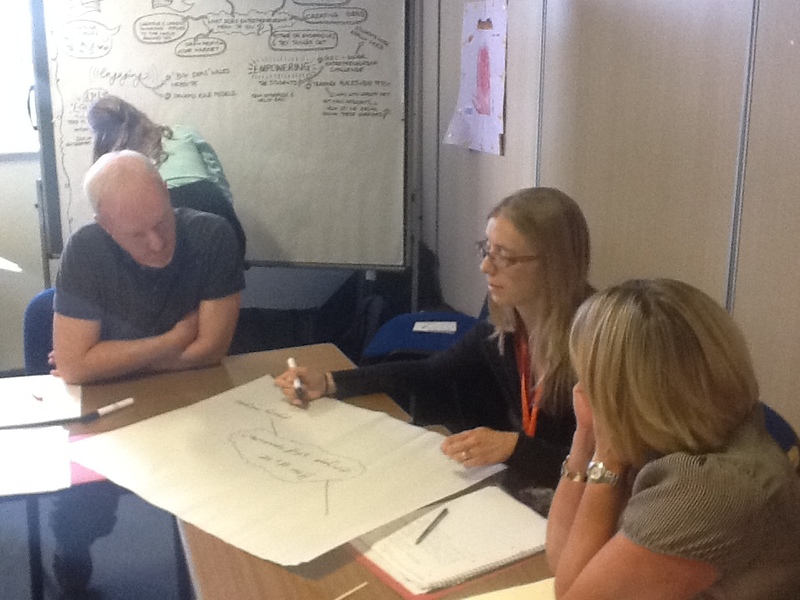 We had a mix of interested parties from business lecturers to community engagement managers. All we asked is that they bring a pen and an open mind! We structured the sessions over 3 weeks with the last week being the focus group. It was important to keep the sessions active and not be too strict with the timings, so we could allow time for creativity. The participants commented that they appreciated this as this provoked relevant discussion points. On the second day we were lucky to have an entrepreneur join us to deliver some of the session. Ben Room held activities with the participants that he used with students. They were a lot of fun and really had them thinking. We frequently assessed their understanding and invited both positive and negative feedback to ensure the participants were getting the most from the sessions. During the last part of the session we invited the participants to plan a lesson or information session using what they had learnt during the training. The outcome was exactly as hoped and if they use this knowledge within the college we have a great chance to help develop a culture that both staff and learners will enjoy and thrive in. We are in the process of planning CPD sessions with staff members, with the aim to train as many CAVC staff as possible. ADEPTT has brought excitement to learning from both staff and learners as we develop a new way of planning the futures of our learners."